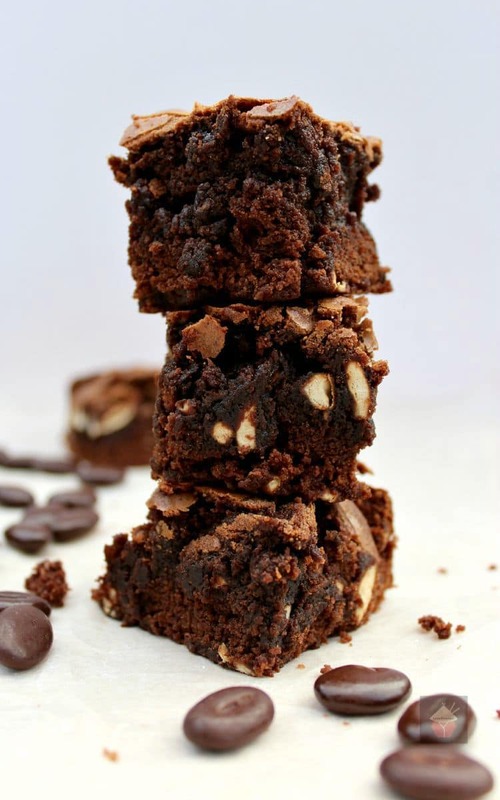 Mocha and Chocolate Cookie Brownies. These are a wonderfully soft, chewy brownie, flavored with coffee and vanilla spritz cookies. 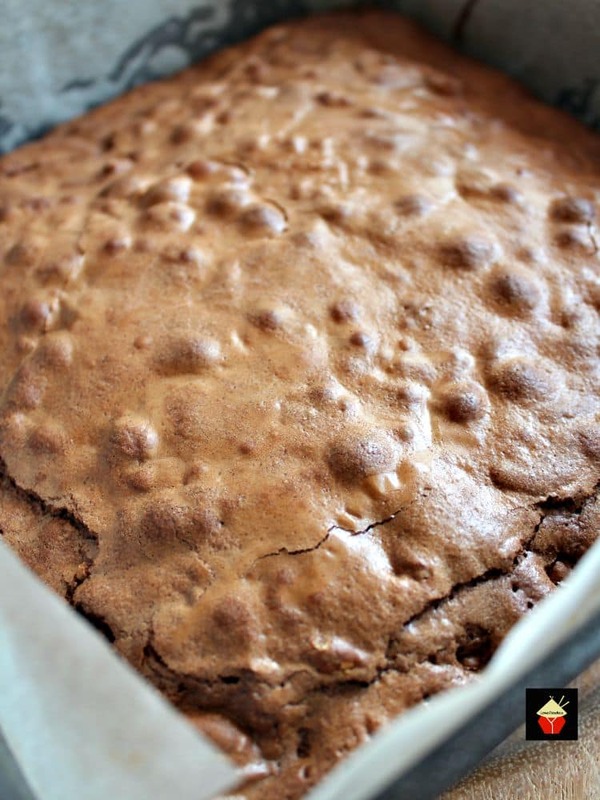 Mocha and Spritz Cookie Brownies. 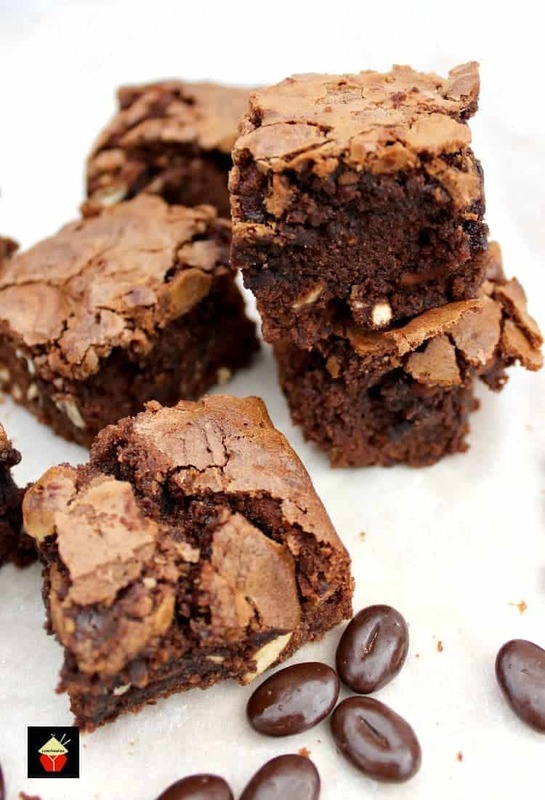 These are a wonderfully soft, chewy brownie, flavored with coffee and vanilla spritz cookies. 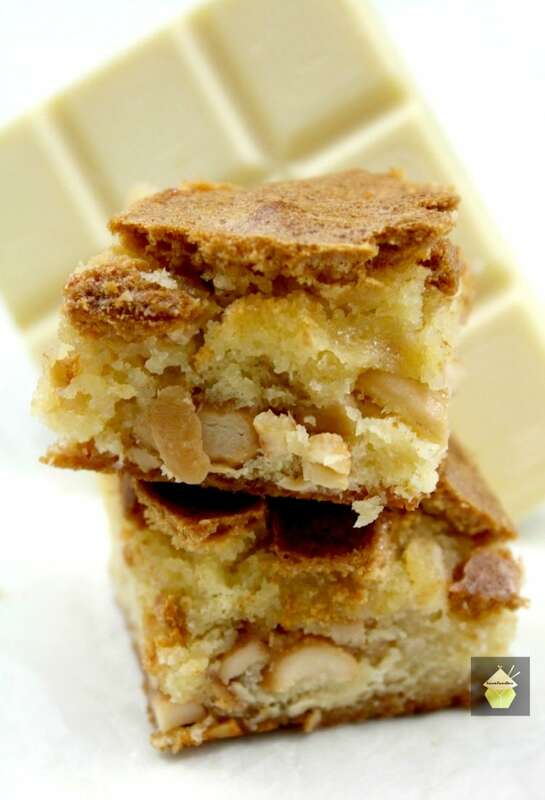 Perfect with a cup of coffee or glass of milk! They’ll also make great gifts at Christmas time too! 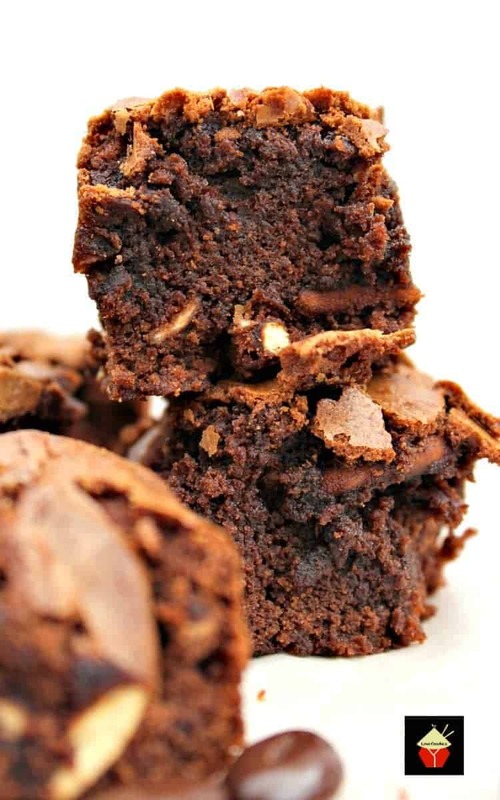 This is a very easy brownie recipe and so delicious! Make them for a party, or for snacks, picnics or freeze some in portions so you always have some handy when you get that chocolate urge! The gentle flavour of coffee together with the chocolate is, of course, a classic combination, and it really goes nicely with the taste of the vanilla in the spritz cookies. 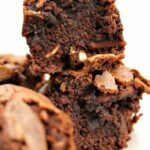 The cookies give another flavour and texture dimension to the brownie and it’s a great alternative to adding nuts, especially if some have nut allergies! 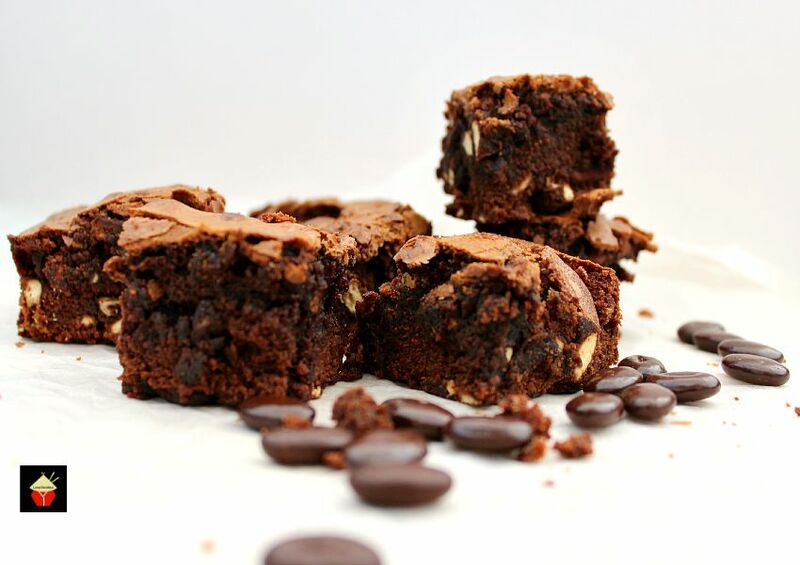 I hope you will enjoy these Mocha and Chocolate Cookie Brownies as much as us and please enjoy! This is a very easy recipe, and so delicious. 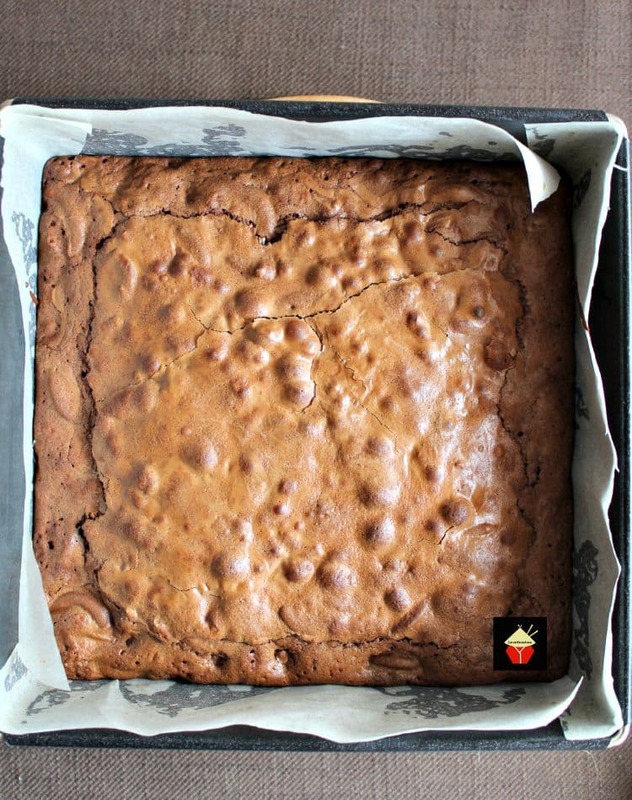 The brownies are quite rich, so you can get 16 squares nicely from the recipe. *** Please note, if you choose a larger pan, your brownies won’t come out as high! Click on the photo if you’d like to make your own Vanilla Spritz Cookies The recipe makes 24, but I’m sure you will find a way to use up the leftovers!! 2. Beat vanilla, sugar & eggs until light. 3. 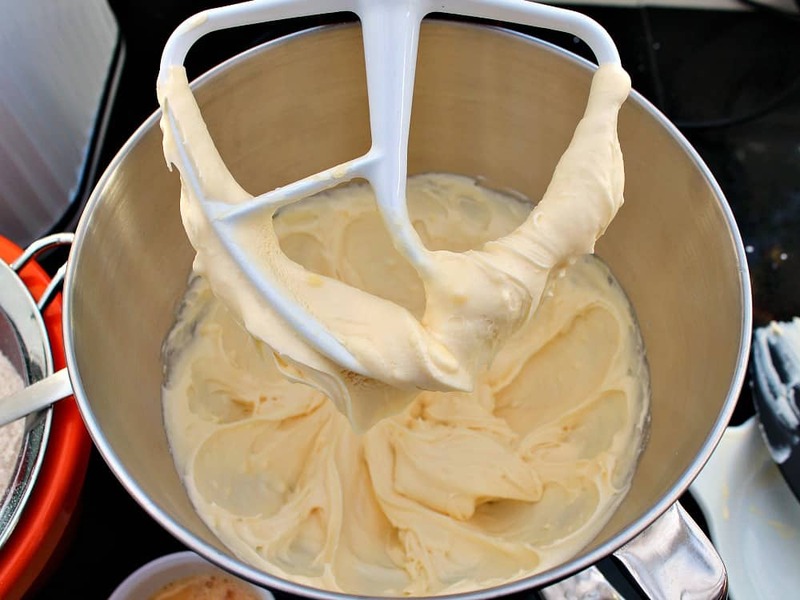 Melt butter & chocolate in the microwave in 20 second intervals until completely melted. In a cup, add the coffee granules and 1 Tablespoon of boiling water to dissolve. then add the coffee mixture to the melted chocolate and butter, and stir well. 4. Combine flour, salt & cocoa powder and add to egg mixture. 5. Add chocolate & butter mixture, mix well. 6. In a bowl, crush the vanilla cookies, I just used my hand and broke them up, leaving small pieces, NOT crumbs. Then spoon them into the batter. 7. Pour batter into the baking tin and bake for 30 – 40 minutes. 8. 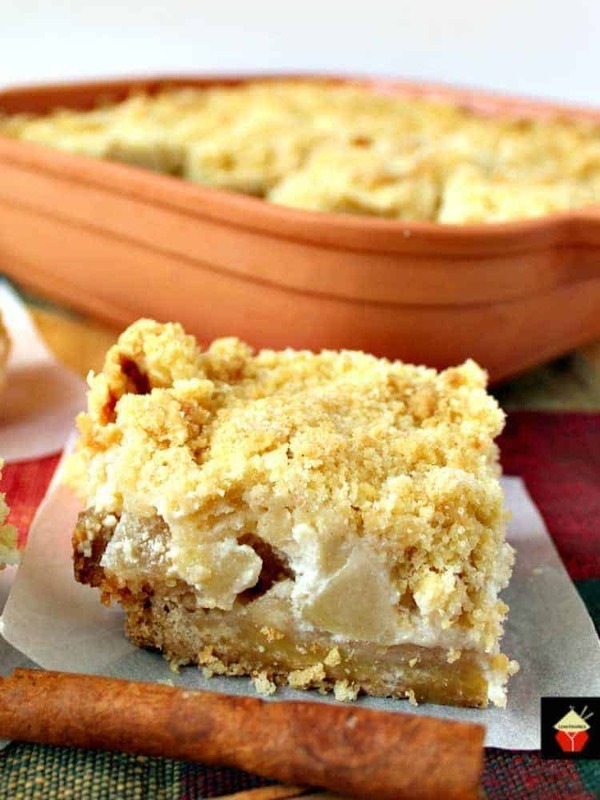 Allow them to cool on a rack and cut into squares after they have cooled. If you try and cut them whilst they are still hot, they will be too gooey, and you can’t cut them nice. These will freeze well and also store well in an airtight container. However, if you have brownie monsters in your home, you might have to hide them! 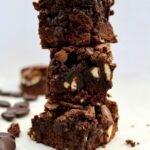 We’d love to hear from you and what you thought of our Mocha and Chocolate Cookie Brownies recipe. Did you make any changes or add some other goodies? Let us know in the comments below. Thanks for reading and happy cooking! Beat vanilla, sugar & eggs until light. Melt butter & chocolate in microwave in 20 second intervals until completely melted. In a cup, add the coffee granules and 1 Tablespoon of boiling water to dissolve. then add the coffee mixture to the melted chocolate and butter, and stir well. 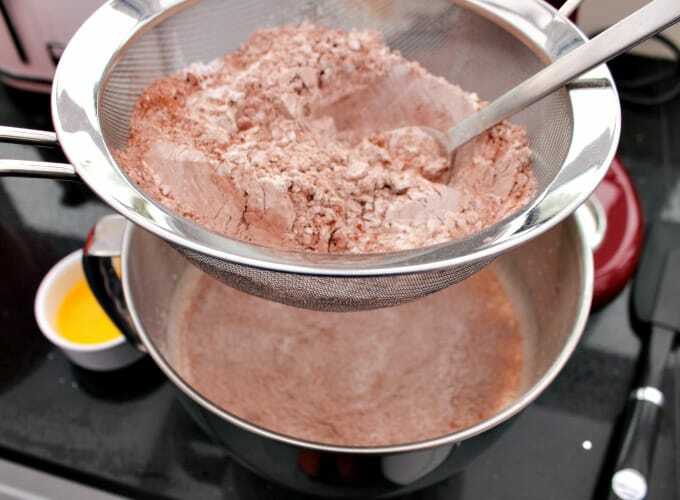 Combine flour,salt & cocoa powder and add to egg mixture. Add chocolate & butter mixture, mix well. 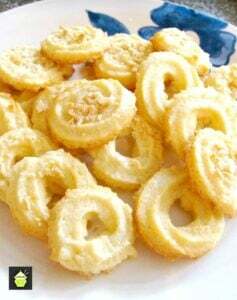 In a bowl, crush the vanilla cookies, I just used my hand and broke them up, leaving small pieces, NOT crumbs. Then spoon them into the batter. 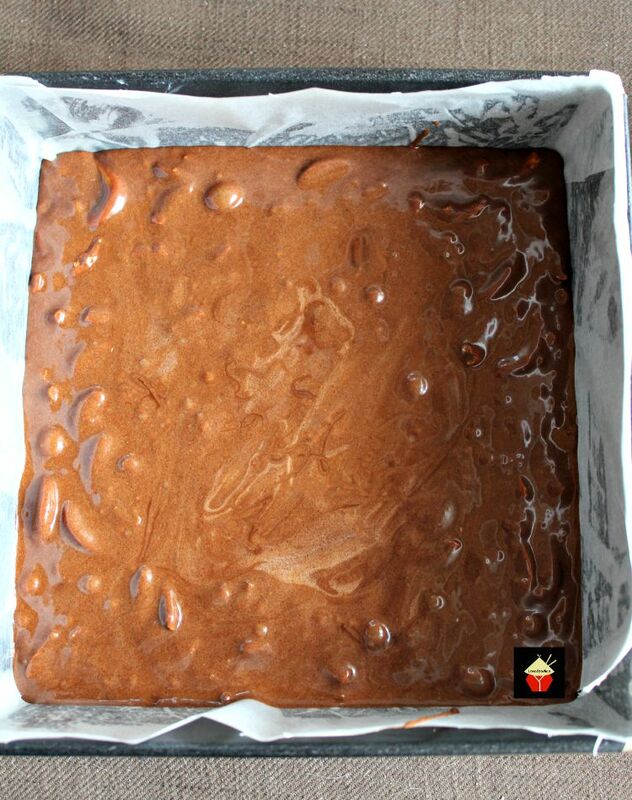 Pour batter into the baking tin and bake for 30 – 40 minutes. 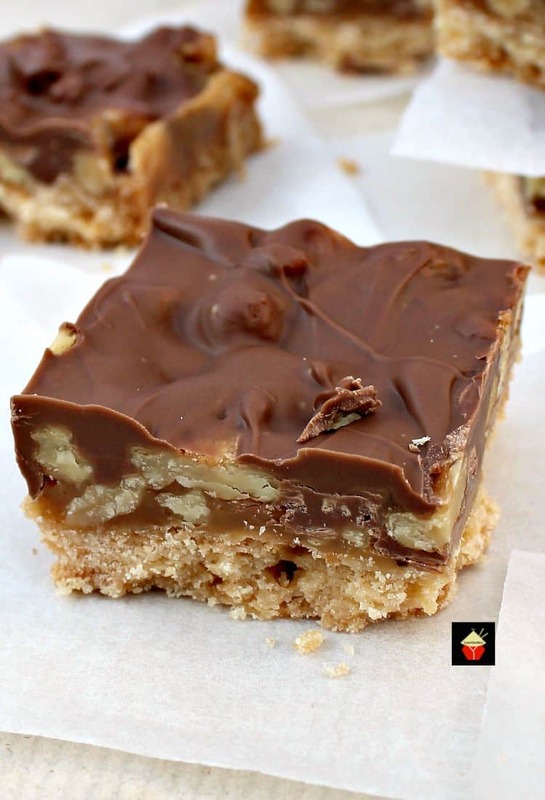 Allow them to cool on a rack and cut into squares after they have cooled. If you try and cut them whilst they are still hot, they will be too gooey, and you can’t cut them nice. These will freeze well and also store well in an air tight container. However, if you have brownie monsters in your home, you might have to hide them!